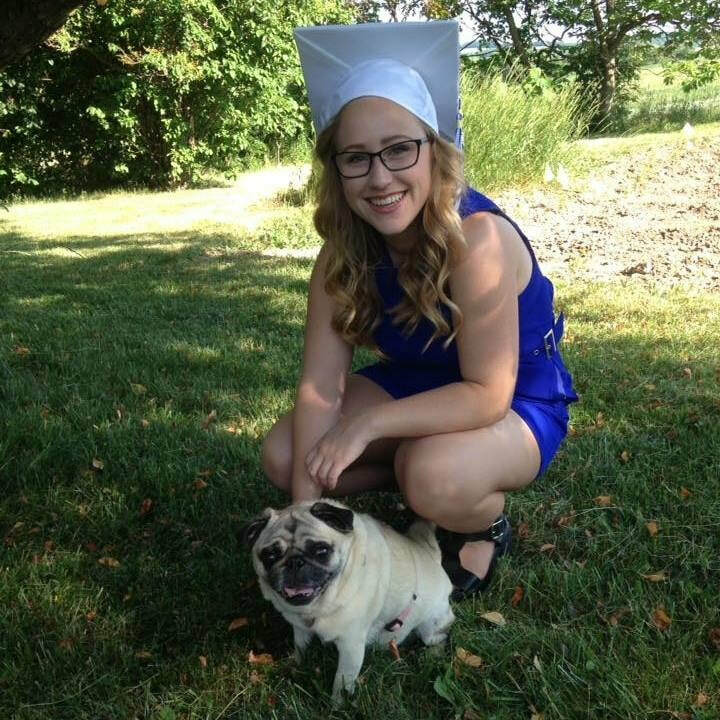 Becca grew up in Bloomfield, NY and was raised as an animal lover, surrounded by all kinds of pets including 2 pugs, countless gerbils and hamsters, several cats, as well as a chinchilla. She currently lives in Chili with her boyfriend and 2 hamsters, Winston and Wasabi. 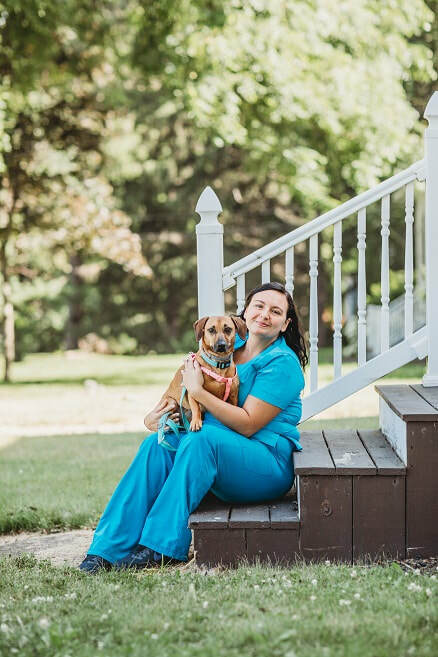 She studied Humanities and Social Sciences at Monroe Community College and is now a student in the Veterinary Technology Program at Genesee Community College. She is expected to graduate in May 2020. When she isn’t working or studying, Becca enjoys photography and video games and takes every opportunity to travel or road trip that she can. ​She isn’t certain what her future holds but she knows it will involve animals in one way or another. Bre grew up in the town of Hamlin and now lives in Brockport with her two beagle/dachshund mix dogs, Daisy and Aviva. Her family rescued her dogs along with an American Quarter Horse Paint, named Deuce. Bre loves working with animals, especially assisting with the caregiving process especially when they aren't feeling their best. She excels at making sure their hospital stay is as comfortable as possible. When she is not working, she spends time riding Deuce, four wheeling, mudding and spending time with friends and family.